Who says women shouldn't speak in public? And why can't they vote? These are questions Elizabeth Cady Stanton grew up asking herself. Her father believed that girls didn't count as much as boys, and her own husband once got so embarrassed when she spoke at a convention that he left town. 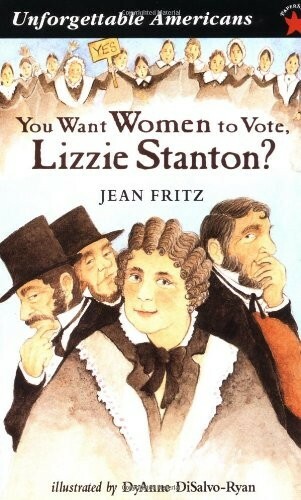 Luckily Lizzie wasn't one to let society stop her from fighting for equality for everyone. And though she didn't live long enough to see women get to vote, our entire country benefited from her fight for women's rights. Throughout almost four decades of writing about history, Jean Fritz has taken on plenty of people, starting with George Washington in The Cabin Faced West (1958). Since then, her refreshingly informal historical biographies for children have been widely acclaimed as "unconventional," "good-humored," "witty," "irrepressible," and "extraordinary." 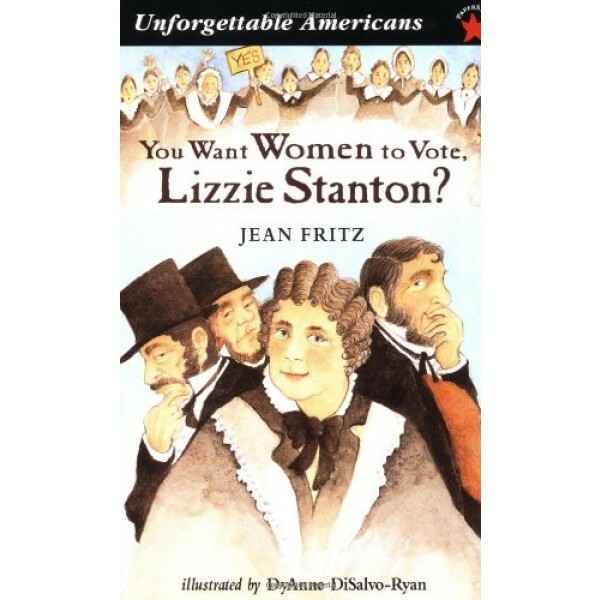 An original and lively thinker, as well as an inspiration to children and adults, Jean Fritz is undeniably a master of her craft. She was awarded the Regina Medal by the Catholic Library Association, presented with the Laura Ingalls Wilder Award by the American Library Association for her "substantial and lasting contribution to children's literature," and honored with the Knickerbocker Award for Juvenile Literature, which was presented by the New York State Library Association for her body of work.